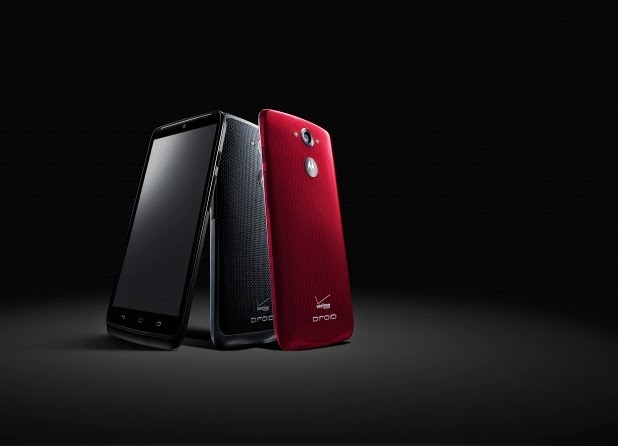 The DROID Turbo by Motorola will be available online and in Verizon Wireless stores starting Oct. 30. The 32GB model will be available in Metallic Black, Metallic Red, and Black Ballistic Nylon for $199.99 with new two-year activation or $25 per month on Verizon Edge. The 64GB Black Ballistic Nylon model will also be available for $249.99 with new two-year activation or $27 per month on Verizon Edge. -- Get $100 or more when you trade in your old smartphone and purchase a DROID Turbo by Motorola with new two-year activation. Trade-in must be in good working condition. -- From launch until the end of this year, upgrade and activation fees are being waived for customers who purchase the DROID Turbo. Waived activation and upgrade fees will be credited to the customer’s bill, and may take up to two billing cycles to process. -- DROID Turbo customers who experience a damaged screen during their 2 year contract can replace it once for free. Customers who purchase through Verizon Edge are also eligible. The DROID Turbo is designed with its Ballistic Nylon or Metalized Glass Fiber reinforced with DuPont Kevlar fiber, scratch-resistant Corning Gorilla Glass 3, and water-repellent nanocoating protecting the inside and out against spills. DROID Turbo has a battery that lasts up to 48 hours, so that means it’ll be a while before you see that low battery alert. Eventually, the alert will appear, but it might be at a time when you don’t have the time to do a full charge of your phone. Only having a few minutes before heading out with friends, layovers in between flights, and many other countless scenarios – we’ve all been there. The new DROID comes with a turbo charging feature so when you’re low on battery, a 15 minute charge can get you up to 8 hours of use. DROID Turbo comes with the Motorola turbo power charger in the box at no additional cost. And for added convenience, the new DROID is wireless charging capable. Moto Display wakes up the phone to show the time and notifications when you reach for the phone. You can also wave your hand over the screen to dismiss a phone call or silence an alarm. The Droid Zap app has also been enhanced with the Zap Zone feature that makes it easy to share pictures and videos with nearby friends you invite to your zone. Plus, Zap to TV uses Google Chromecast to create a slideshow on a big screen. Smart features like these are best paired with a powerful processor. DROID Turbo has a 2.7GHz quad-core processor and has 3GB of RAM for multi-tasking and running your favorite apps very smoothly. DROID Turbo has a 21-megapixel camera with 4K video capture and features a 5.2-inch Quad HD display. And when a picture moment happens you want to be fast enough not to miss it. Quick Capture feature lets you twist your wrist twice to launch the camera – no need to press any button or unlock any screens..
DROID Turbo by Motorola will be available online and in Verizon Wireless stores starting Oct. 30. The 32GB model will be available in Metallic Black, Metallic Red, and Black Ballistic Nylon for $199.99 with new two-year activation or $25 per month on Verizon Edge. The 64GB Black Ballistic Nylon model will also be available for $249.99 with new two-year activation or $27 per month on Verizon Edge. 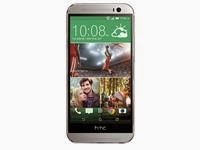 AT&T has confirmed it will be the exclusive carrier for the HTC Desire EYE this holiday season, and that it will offer the RE by HTC, a point-and-shoot camera later this year. Pricing and full availability for both products will be announced later. HTC Desire EYE boasts a 5.2-inch full High Definition display (1080p) and 2.3 GHz Quad-Core processor. The smartphone features a 13MP front facing wide-angle camera and dual LED flash. The front and rear facing 13MP cameras with motion tracking and voice-activated software allow you to capture more background and wider group shots with smile capture or voice command. Share everything on your screen in real-time to get quick feedback from your friend or show off your photos. HTC Desire EYE is also IPX7-compliant, making it water-resistant up to one meter amplifier boost volume for powerful and balanced sound. The HTC BoomSound front-facing speakers include a built-in amplifier boost volume for powerful and balanced sound. RE by HTC has a 146-degree, wide-angle lens that captures everything you see in full view, replacing the need for a viewfinder. With a 16MP camera sensor and 1080p High Definition video, you can capture your world with high quality photos and video. RE easily integrates with both Android and iOS devices to back up your photos and videos to the cloud. Just grab, point and shoot with RE’s intuitive controls. The grip sensor is always on and wakes the capture capability when picked up. Simply tap the shutter button to capture photos or press and hold to take videos. RE is also IPX7-compliant. The RE app can transfer all of the photos and videos from your RE to your smartphone and can also back up your content to third-party cloud services such as Google Drive and Dropbox. The app also serves as both a content browser and live viewfinder on your device, mirroring what the camera is seeing. Detroit will host the Verizon Indycar series for a pair of races this weekend, and if you have a Verizon phone you can delve a little further into the action. by selecting their favorite driver or team. The app also offers live streaming in-car camera feeds, radio broadcast and the mosaic view, which allows users to watch four live video feeds at one time. It also features extras like real-time leader boards, race track data, driver Twitter feeds, news and alerts and track layouts. • Race Weekend Concierge - Don't miss a moment of each race weekend with Race Weekend Concierge. Get your ultimate fan guide to each weekend's events and stay up-to-speed with all things IndyCar. o Interactive track maps for easy navigation using GPS technology. o Customizable text alerts for updates on-the-go. o Dynamic fan polling and driver trivia. o Virtual autographs from your favorite drivers. o Real-time leader board for Verizon P1 driver standings. o Opportunities to win exclusive IndyCar and Verizon prizes. Check verizonwireless.com/IndyCar for supported devices.